The Transylvanian Museum of Ethnography is the first ethnographical museum in Romania. It was founded in 1922 and it has started its activity officially since 1st of January 1923. It is the first Romanian museum founded on a scientific program, having as contributors great specialists of the epoch. The initiative of founding an Ethnographical Museum belonged to the Transylvanian Dirigent Council which, by the general inspector of the museums, Coriolan Petranu, made the first steps in this respect. After the dissolution of the Dirigent Council, the project of museum organisation was continued by the Cultural Foundation “Prince Carol”. At 1st of May 1922, the Foundation named a commission charged to organise the museum, consisting of great personalities of the epoch: Sextil Pușcariu, George Vâlsan, Alexandru Lapedatu, George Oprescu and Romulus Vuia, the last one becoming the first director of the institution (1923-1948). The first campaigns of research, made between 1922 and 1923, had as results the acquisition of 1230 objects and making of 160 photos. This ethnographical stuff was the base of the first ethnographical permanent exhibition, opened in the spring of 1923. Until 1925, the museum was hosted temporarily in the former building of the Arts and Crafts Museum on George Barițiu Street. The first museum main office was located in the Mihai Viteazul Square, into a building that sheltered in the past, among others, the Museum of Relics. Here it was inaugurated a surpassing permanent exhibition on 17th of June 1928, being organised on the following thematic sectors: fruit, plant picking, hunting, fishing, agriculture, animal breeding, textile homemade industry, furrier’s trade, pottery’s trade, furniture, construction elements, kitchen, folk costumes, sewing and fabrics, ethnographic map drawing. Between 1935 and 1957, with an interruption between 1940 and 1945, the muse4um was hosted in the Casino Building in the Public Park of the city. Here it was inaugurated officially at 17th of July 1937 in the presence of King Carol the 2nd, the third permanent exhibition, containing the same thematic sectors presented for the exhibition in 1928. Between 1940 and 1945, the museum took refugee to Sibiu. 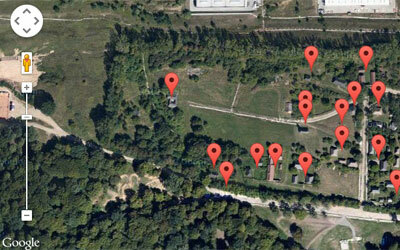 Here, at the initiative of Romulus Vuia, the bases of a new open-air ethnographic museum were set. After the return of the Transylvanian Museum of Ethnography to Cluj, in July 1945, the town Sibiu has remained with this exhibition nucleus as a heritage, which has developed in time till the present Museum of Traditional Civilisation. In 1957, the Transylvanian Museum of Ethnography received the present main building, the histroical building “Reduta” on Memorandum Street no. 21, and beginning with 1958 the staff started the restoration works. The Museum is unfolding its activity in this building till nowadays, becoming one of the most important landmarks on the cultural map of Romania.